One of the challenges that you might face is staying warm on raw foods. Obviously, it’s much easier to gobble up on cooling apples and tomatoes if the sun constantly bakes the place where you live. On the other hand, when the cold gets through your flesh and you begin to think that you can feel it with your bones then salads and smoothies become a joke. Picture this: you’ve just arrived home, and you know the fall is here not because the calendar says so but because you can feel it with your flesh. A heater, a steaming shower, and even more steaming bowl of soup might come first to mind. But wait, you’ve gone raw this summer! That’s fine, you’ve still got the other two. And you happily submit to their reviving powers. Five minutes – you are warmer, ten minutes – you are quite warm, fifteen – you are too hot. That’s the thing, if you don’t stop in time you tend to overheat, which may leave you sluggish and lazy. Not to mention that too much heat pulls moisture out of your skin. Especially if you live in Alberta where air isn’t much different than a pile of dry leaves by your house. In short, in addition to heaters and showers, let’s explore what else you can do. This won’t be raw completely as you are using the boiling water. That’s one of the exceptions that I do when feeling really cold. 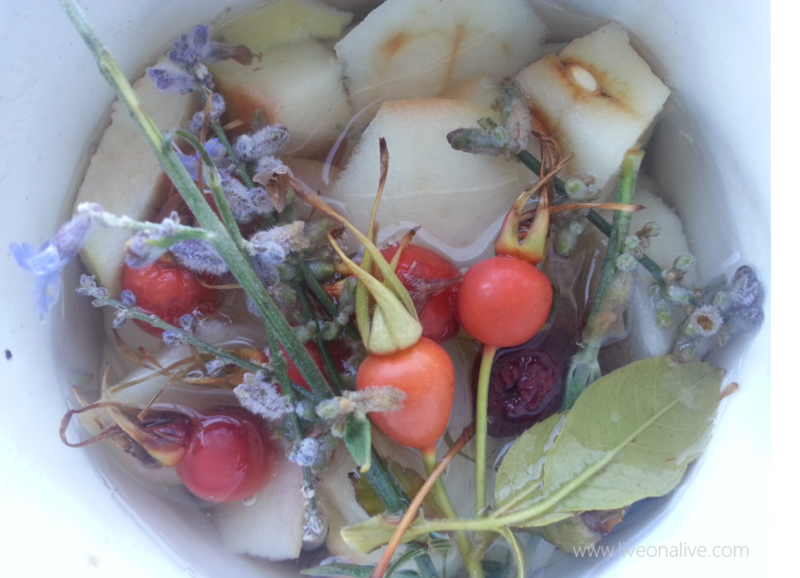 Cut any flavorful, non-juicy fruits into small pieces and pour the boiling water over, cover, and leave for 5-7 minutes. Dried fruits and berries are perfect for this purpose. You can also add cinnamon in there. The downside of putting cinnamon in boiling water, however, is it turns into jelly-like slime, and thus partly loses its warming qualities and taste. The better option is to put it when your tea has a cooled to the point that it doesn’t burn your mouth. Personally, not a fan of cinnamon on fruits. Also, bear in mind, that if you eat cinnamon often to keep your liver safe switch to true cinnamon. Again, not entirely raw, maybe just a little inside. In the similar way, cut any flavorful, non-so-juicy veggies like peppers, tomatoes, asparagus, pumpkin, and chop any greens. Put warming herbs, spices, pour the boiling water over, and let sit for 5-7 minutes covered. You may want to grab some oil and drizzle it over the soup. It’s better to avoid doing it. For the reason that heated oils, even if subjected to boiling water, denature badly and heavily contribute to inflammation. If you want some fatty droplets dancing tango in your soup wait until it has cooled a little. A master at keeping people toasty. Make a tea or add it to your meals. If brewing tea, simply grate it and pour warm-hottish water. Not boiling. Just because its fire, so to speak, would make any water feel like it’s hot. The other bonus, is all the countless benefits it contains would be preserved. Lemon and lime pair nicely with it. Ginger got a character, so it won’t fit every of your moods. I have it once in a while. Cayenne, jalapeno, and horseradish are very generous with their heat. You literally feel like you’ve just swallowed some fire. As you may have experienced, though, they stimulate digestion, and make you feel hungry, so be easy on these. I don’t know about you but I don’t want to have to eat when my stomach is full. And I’m talking about raw whole versions of these, not those added to store-bought sauces. I find that peppercorns and mustard are less extreme in this regard. My suggestion is wrap yourself in wool. Literally. Whatever you are, whatever you do. Contrary to what I described above wool clothes won’t give off heat, of course. Instead, they keep the heat your body produces close to your shivering legs and arms. Wait, wait, you might say: aren’t we vegan? Shouldn’t we be kind to animals? Oh yes, we are still vegan. However, wool doesn’t involve harming an animal. It’s a fabric that is made from fur that has been shaved off sheep, goats, graceful lamas, and cute rabbits without making them cry. The only thing that might happen is they may feel slightly cold after the procedure. So, it’s all good. For me, wool + raw veganism are inseparable, almost synonyms. I’ve never wore so much wool in my life as in the last five years. Relative to its ability to keep you warm it’s light. Plus it’s won’t suffocate your skin. On top of that, wool clothes last for years and make you feel like you’ve got a fireplace with you all the time! Wool will keep you warm even if it’s wet! In short, wear wool inside and outside. As a side thought, I think there would be less Arctic trips without it. For me, some wool clothes are ticklish so I wear cotton/linen garments underneath. This must be the hardest. After a draining day you most likely won’t feel like a grasshopper. Unless you’ve just won a lottery or your dream came true all of sudden. Though even 2-3 minutes of crazy-looking jumping will make you warmer. Or, if possible, ask someone to do it for you before you arrive home. This might take 15-30 minutes. 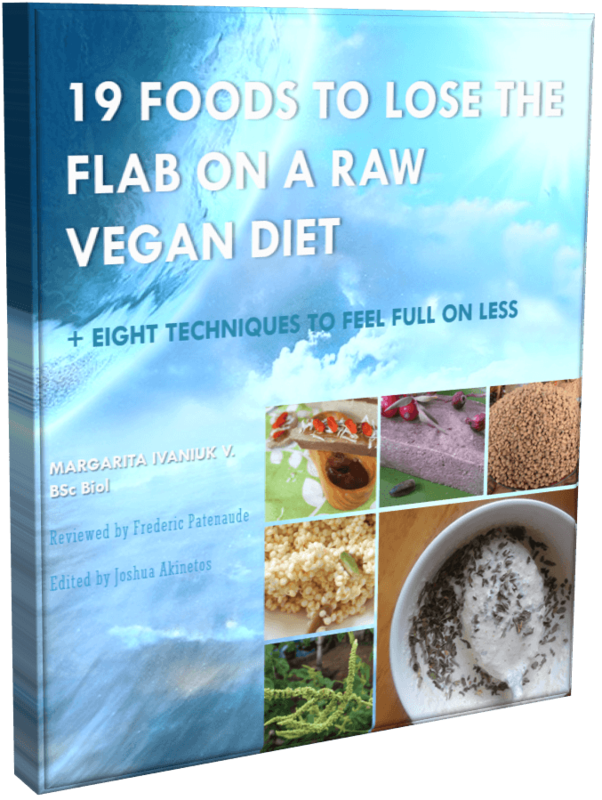 Want to LOSE REMAINING POUNDS while staying FULL on raw veganism? 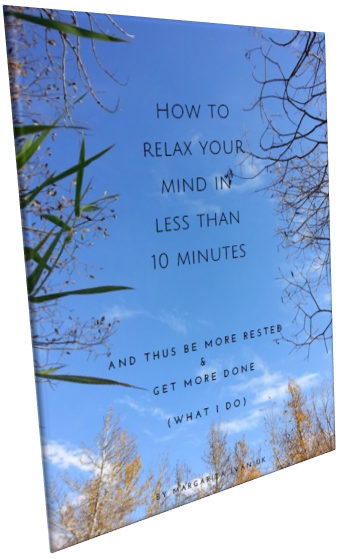 Want to Get More Done in a Day?